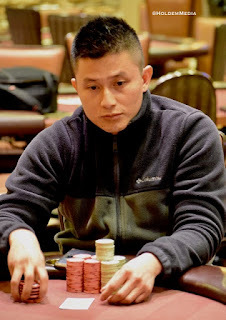 Well, actually, Bao Liu took down the $235 Stacked early this morning. Liu and Barry Birdwell did a minor adjustment to the payouts and shut the tournament down near the start of its 10th hour. Liu's listed first-place cash includes a $1100 WPTDeepStacks Main Event seat.